On May 15, Uranus returned to Taurus for the first time in 84 years, where it will remain for approximately 5 months before retrograding back into Aries on November 6. During this time, some of you may get a preview of what’s to come when Uranus moves into the sign of the Bull. Why just some of you? Because this time around Uranus will just be dipping its toe into the earliest degrees of the sign, so only those of you with a planet or sensitive point in the range of °0 – 4° will be receiving a transit from it. Not sure if this applies to you? Click here to use my free chart calculator to find out if this applies to you or one of your loved ones. Even if you’re not feeling Uranus this year, your time will come because once it returns to Taurus on March 6, 2019, it won’t be finished with the sign of the Bull until 2026. On a personal level, we experience Uranus-driven awakenings and liberations through its transits. 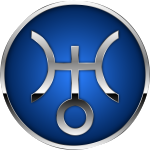 Uranus is known for surprises, sudden events and unforeseen circumstances. It’s also a planet of separation, which means it sometimes triggers events that result in separations from a person, job or resources. And sometimes that’s exactly what we need. You see, the purpose of Uranus is to liberate us from circumstances, relationships and beliefs that are false, stale and contradictory to our divine nature. Sometimes it does so through flashes of inspiration and unexpected serendipity; other times it does so through chaos and upheaval. Whether transiting Uranus brings a breakdown or a breakthrough depends on your particular horoscope as well as your present circumstances, but the good news is that with Uranus even a breakdown usually leads to a breakthrough. So what does transiting Uranus in Taurus have in store for you? Taurus, Scorpio, Leo or Aquarius, you’re likely to experience an unexpected event that will disrupt or precipitate a major change in some area of your life. Virgo or Capricorn, you’re likely to experience a Uranus awakening in the form of brilliant insights, new relationships or favorable circumstances that allow you to easily make positive but radical changes in some area of your life. Pisces or Cancer, there may be an unexpected opportunity that if developed will open a new door to freedom, happiness or success in some area of your life. Aries or Gemini, you can expect some mild inspiration from this energy. Tap into it and put it to work! Libra or Sagittarius, you may be forced to make an adjustment or compromise in some area of your life. On another note, pay attention to your health because this energy can coincide with a sudden injury or illness.